If you have an underbite, overbite, crooked, or misaligned teeth, Academy Dental in Victoria and Sooke, BC can provide you with clear Invisalign braces to straighten out your smile. The Invisalign process consists of a series of custom-made aligners that are designed specially for you. You will put in a new set of aligners every two weeks, and watch as they magically straighten your teeth gently and gradually. It’s that easy! Choosing to use Invisalign clear aligners is an important medical decision. We invite you to schedule a consultation with your Academy Dental team to evaluate your smile and confirm whether or not Invisalign is the right option to straighten your smile. Invisalign can address many dental cases, from simple to complex cases. Since Invisalign clear aligners are custom-made to fit your mouth, we need a detailed understanding of your teeth before designing a treatment plan. This step will include taking x-rays and impressions, and creating a 3D model image of your teeth. From this model, we will show you how your teeth will adjust and align over time, and how long you can expect the treatment to last. Based on the personalized treatment plan, our team will create a series of custom-made, clear aligners just for you. The aligners will fit comfortably in your mouth and won’t cause irritation to your cheeks, due to the smooth BPA-free plastic material. The treatment is simple: wear the aligners throughout the day, and take them off only when you are eating, brushing, and flossing your teeth. 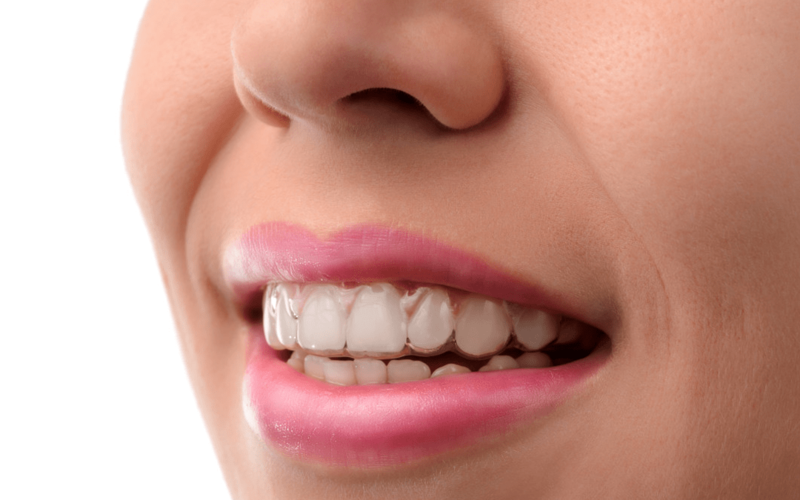 The aligners will gently and gradually shift your teeth into the desired place. It’s easy to progress through your treatment without frequent visits to our practice. Every two weeks, you will begin wearing a new set of aligners, which will gradually lead you to a straighter smile. Check in with your Academy Dental Team in Victoria or Sooke, BC approximately every six weeks so that we can monitor your Invisalign treatment progress and make adjustments to your treatment plan accordingly. Once you’ve completed your Invisalign treatment, you’ll see a brand new smile and a more confident you! Your Academy Dental team will be with you every step of the way, and can’t wait to celebrate your new smile! Considering Invisalign as the invisible teeth straightening option for you? Contact us today for any inquiries such as: How It Works, Benefits, Before & After, FAQ, and your Invisalign doctors through our website. Dr. Frank Van Gyn along with the Academy Dental Dentist team look forward to providing you with a detailed smile assessment and Invisalign consultation at one of our two convenient locations in Victoria and Sooke, BC.